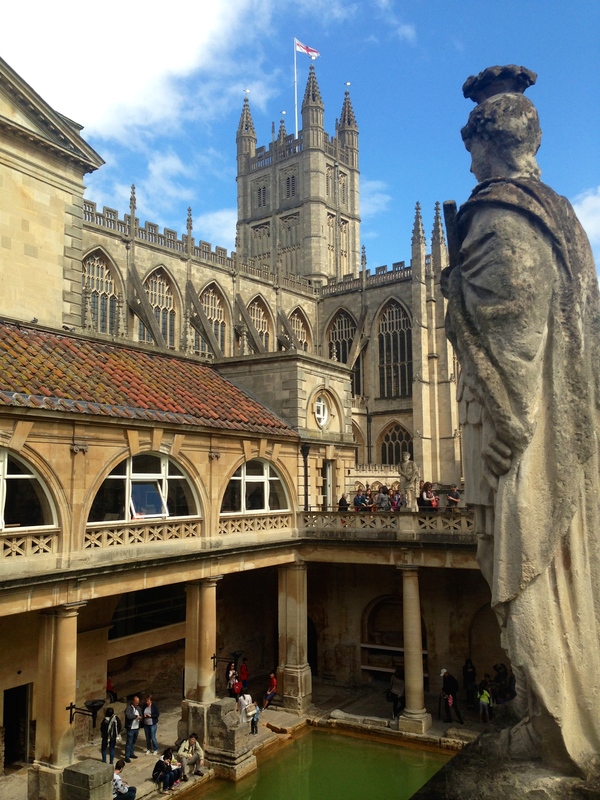 Due to my utter lack of crappy Barbie photos, here’s a stone man looking down on the Roman Bath in Bath, England. You know when you’re seven and rummaging around your toy bin, trying to find just the right thing to play with, maybe something different today, and you toss aside glittery Ice Dancer Barbie and perfect Ballroom Barbie and edgy California Barbie, until finally your hand brushes against something sticky, and curious, you grab hold and pull, only to reveal Indiscriminate Barbie (probably used to have characteristics, completely unidentifiable today), you know, the one with a missing arm, sticky discolored legs, and a gum smudged face, with what-the-f*ck-happened-to-her-hair, and a gaping hole in her left hand, remnants of her failed marriage with personality-less Ken? (never trust a dude with plastic hair), and even though she looks sort of like a prostitute in her very poor mismatched clothing choices, wearing only one pastel purple heel, for some reason, without knowing why, you’re like, yep, I want to play with her today. And then, absentmindedly, you continue to dig around the bin, not looking for anything in particular, but at the same time hopeful, and your hand finds something small, something that might be…but no, it couldn’t be…but you withdraw your fist, and open it…and it is! That other pastel purple shoe, and you’re like YESSSSSSAHHH!! I drenched myself in whiskey Friday night, and woke up on Saturday totally wanting to be that shoe someday. How I loved my Barbies – my favorite was Midge from Barbie and the Rockers, her hair could not be tamed and her eye shadow was disgustingly awesome. I would not be able to come up with a word that describes the gleefulness of finding the other purple shoe. Either jammed under your messy bed or in the laundry room under a pile of your mom’s old dress patterns. It’s out there. I totally had Midge as well! Only I think I renamed her something lame. It’s so awesome that you understand that feeling I’m trying to describe! So simple, but it’s the best.